Here's your chance to confuse the hell out of a few people (at least here in the US). Is it a Chevy? Is it a Pontiac? Nope, it's a Beaumont. A little history... In Canada, Buick and Pontiac were sold through the same dealerships. 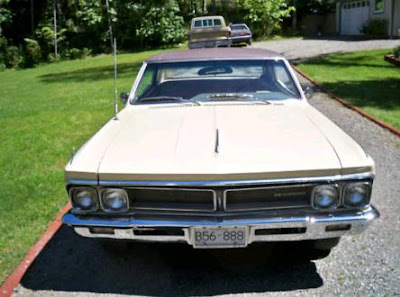 For reasons that are unknown to me, the Pontiac Tempest was not sold in Canada. 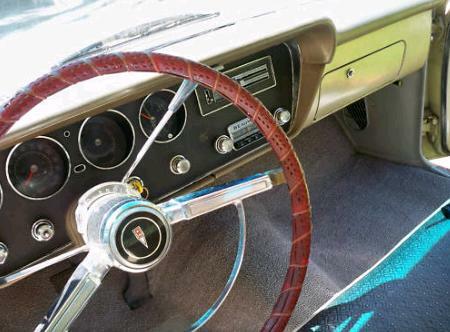 GM wanted to offer a midsized car in Canada, so in 1962 they created the Acadian brand. Originally the Acadian Beaumont was a re-trimmed Chevy II (Nova). It was the top of the line Acadian. In 1964 the Beaumont name was moved to a slightly restyled Chevelle. (Acadian still offered the Chevy II based models and the top of the line model became known as the Canso.) 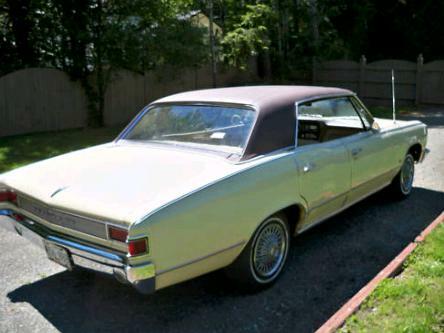 In 1966 GM dropped Acadian name and Beaumont became a stand-alone brand, still sold by Pontiac-Buick dealers. Acadians and Beaumonts were built in Canada. Essentially, the Beaumont is a Chevy Chevelle with a different grille, tail lights and the dashboard from a Pontiac LeMans. The Beaumont emblem looks like a Pontiac emblem, but has 2 maple leaves added to it (of course). 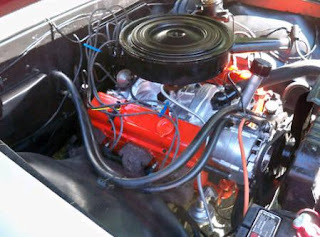 Like the Chevelle, the Beaumont came with a choice of 6 cylinder and 8 cylinder engines. They were available in 2 door and 4 door configurations. GM discontinued the Beaumont line in 1969. This 1966 Beaumont 4 door hardtop has been undergoing restoration for the past 8 years. According to the seller, the body was done in 2002, the interior was restored recently and the engine has just 100 miles on a rebuild. I like the way this car looks. Nobody did the 4 door pillarless hardtop as well as GM did it in the 1960s and the Chevelle body has nice lines to it. The grille definitely has a Pontiac influence to it and looks sportier than the Chevelle. The Pontiac dashboard also looks great. While it's not a whole lot different from the Chevelle, the little differences in the Beaumont put it a cut above the Chevy in my eyes. This is a car that you could buy in Canada, bring back to the US without any problems, and it would be a hit at any local car show or cruise night. Located in Sooke, BC, Canada, click here to see the eBay listing. I'm on vacation in Quebec City! Not many old cars around, but if I see anything interesting, I'll drop the blog a line when I get back. Cool. Bring me back an Innocenti DeTomaso Turbo.